A CDC report says there were 11 million doctors' visits in 2012 for obesity-related health problems. WASHINGTON — More than one-third of Americans are obese, and new data from the Centers For Disease Control and Prevention underscores the toll it’s taking on the nation’s health. 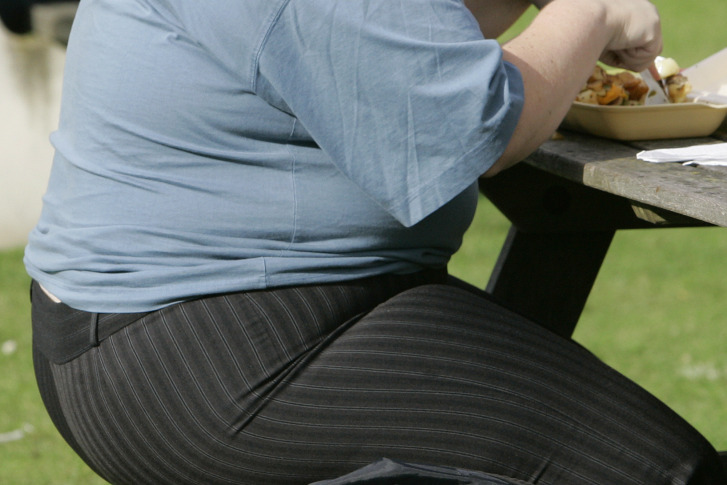 The CDC says there were 11 million doctors’ visits in 2012 for obesity-related health problems. Women had a significantly higher visit rate than men, and patients over 40 had a higher rate than younger adults. According to the CDC, 73 percent of the obesity-related office visits in 2012 dealt with a chronic condition, with hypertension — or high blood pressure — at the top of the list. Another big problem was, and is, diabetes. “As your weight goes up, you become more insulin resistant and your sugar goes up,” Davidson says. She says all doctors need to reenforce the importance of weight reduction and a healthy lifestyle during their interactions with obese patients. The CDC says guidance is offered during 40 percent of obesity-related office visits, and Davidson says that is not nearly good enough.